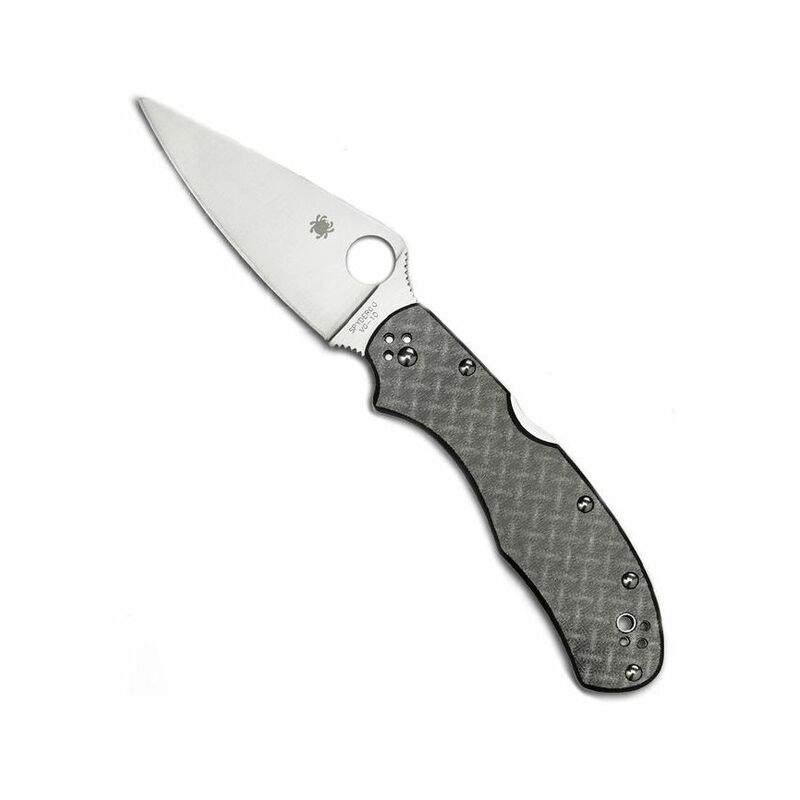 The Spyderco Sprint Run C67GF “R” is a based on the original C67 “R” released by Spyderco in the 1990s. The 90’s rendition featured a skeletonized handle and blade resembling an Erector Set. The new Sprint Run “R” variant instead, has a solid blade and handle. The handle is Japanese Nishijin glass fiber. The name Nishijin references a specific weave pattern, used in the production of silk Kimono cloth. It is manufactured by weaving glass fibers (thinner than a human hair), together in a geometric pattern and then impregnating the fibers into polymer base. The outcome is a lightweight, ultra-strong handle material that has an attractive three dimension appearance. Nested inside the Nishijin are skeletonized steel liners adding rigidity and strength to the handle, while also doubling as an anchoring scale for the attachment of four-way ambidextrous hourglass clip. Paired with the handle is a VG-10 full-flat ground blade that has jimping perched behind the round hole on the spine, and again on the bottom finger choil, to enhance both grip and control. Built with performance in mind, the Sprint Run C67GF “R” can undoubtedly become a centerpiece to any knife collection and a worthy addition to anyone who has been an “R” model CLIPIT fan in the past.